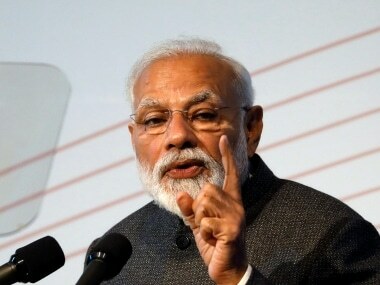 Bhubaneswar: It has turned out to be a tall claim by the Narendra Modi government – that it had brought electricity to the remotest villages in the country through its rural electrification programme. 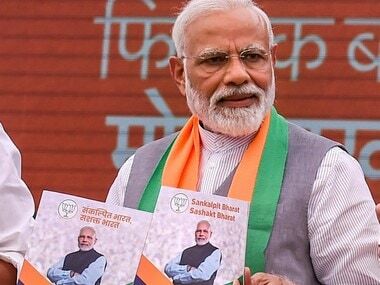 But a reality check by this correspondent in some of the remote rural and tribal districts in Odisha gave a lie to that 28 April announcement of having achieved 100 percent electrification. Odisha had 3,474 unelectrified villages as on 1 April, 2015, as per the Rural Electrification Corporation (REC) monthly report of 28 February, 2018 (of these 571 were uninhabited). And the Grameen Vidyutikaran (GARV) portal, managed by the power ministry, claimed that all the remaining 2,093 villages had been electrified on 28 April, 2018. A visit to Bankisole village in the Mayurbhanj (Baripada) district, just 12 kilometres from the district headquarters on the Baripada-Deuli road, however, told a different story. Villagers here said they have never had electricity in their lives. Under the rural electrification programme, electric wires, transformers and meters were connected to the village households. But even six months after installation, electricity is yet to reach the village or to use a technical term, it is yet to be energised. "I have a small ration shop which I run without any light or fan," said Chandra Mallick. "We still rely on oil-based lanterns for electricity." The villagers pay Rs five per day to recharge their mobiles and LED lights from nearby urban areas. Many villagers have bought solar chargers by taking loans from moneylenders. Villagers told this correspondent that the local administration, instead of taking their complaints to higher authorities, has asked them to collect donations to ensure electricity to each household. They are mulling to collect Rs 50 from each household for electricity, the villagers said. Other villagers said the same. Like in Jampada village in Jharsuguda district, just 15 kilometres from Jharsuguda town. These tribal villages have no water supply either. 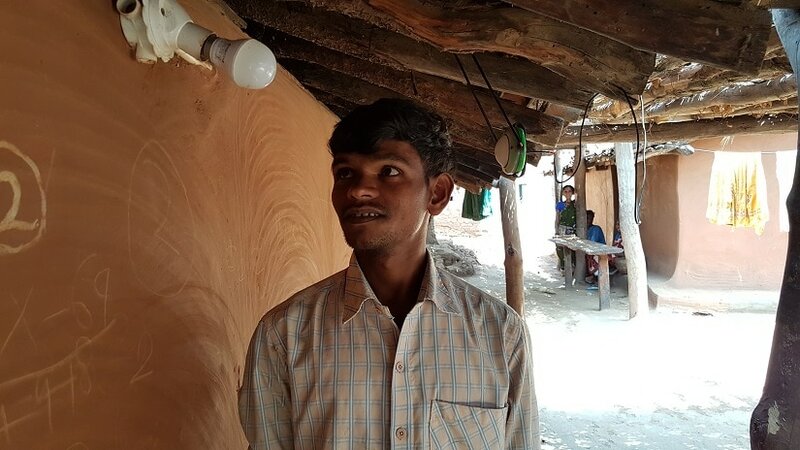 Said 22-year-old Sunil Hadia, "Electric wires pass close to our villages but we were not given electricity." Officials working on the rural electrification project also say there are more villages than the 2,903 they electrified to claim 100 percent rural electrification in the state. 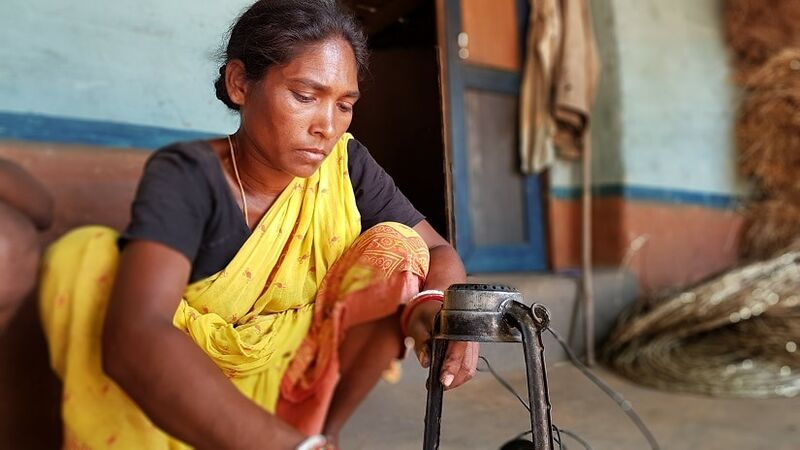 The Deen Dayal Upadhyaya Gram Jyoti Yojana (DDUGJY) was based on the 2011 socioeconomic census data, but "during our field surveys, we found many more villages which were unelectrified," said Satya Ranjan Swain, rural electrification engineer. "We are now focusing on these villages. Their progress will be marked in the GARV portal." Now, even the state admits that the data released on 28 April was incorrect (or might be half-baked). As per the GARV data accessed by this correspondent, between 28 April and 6 May, 378 more villages were electrified, proving wrong the earlier claims of 100 percent rural electrification. The reality in the "electrified" villages is also quite different, as power is available for only a few hours every day. Kholibithar is one such remote tribal village in Nuapada. Situated in a hilly area, the village is still not connected with a pucca road, and is almost inaccessible in the rainy season. The village was "electrified" two months back through a solar mini-grid not connected to the main power grid. Villagers said that electricity is made available for just six hours, from 6 pm to midnight. Though it is a solar grid and the days are sunny, there is no power for the rest of the day. Under the scheme, the government has given three LED lights to each household and also installed street lights in the village. But the electricity people get has limited advantages. "We are happy with the rural electrification," said villager Kulug Singh. "With the street lights, kids are now free to roam and play till late evening. But it gets automatically cut at midnight, engulfing the village in darkness." Using fans remains a utopian dream for the villagers as no electricity is available during daytime. Also, the limited supply means villagers cannot use it to start a small business or service in the village. 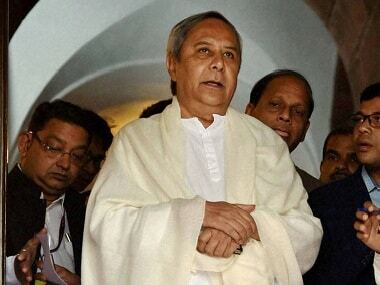 The reason for only a six-hour power supply has never been made clear as it could have been a 24-hour supply had it been planned accordingly, said officials of the Odisha Power Transmission Corporation Limited (OPTCL). 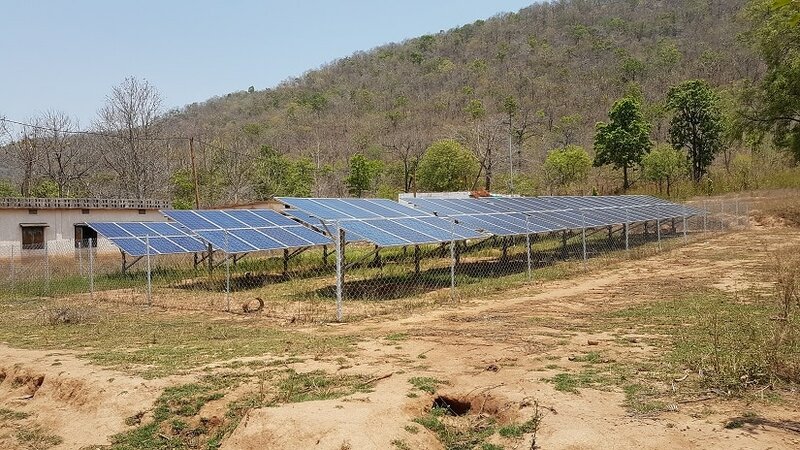 The Odisha Renewable Energy Development Agency (OREDA), the agency in charge of installing these solar grids, says these mini-grids were designed for use mainly in remote and hilly areas while in some villages standalone systems (solar operated lights) are also given. However, OREDA officials said that many villages protested against installing solar grids in their villages and asked for the main power grids, hence remained unelectrified. 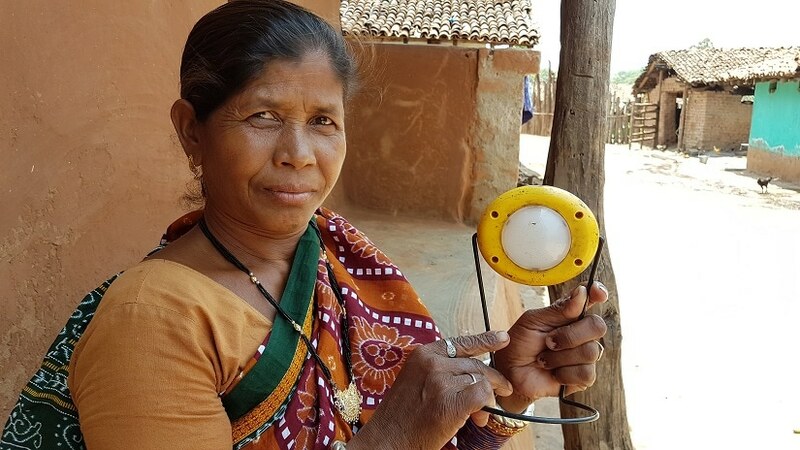 Rina Chinda of Kholibithar village in Nuapada flaunts the standalone solar light she got from the govt which is used for lighting. Image courtesy Manish Kumar. The next step is to bring electricity to each household under the Soubhagya scheme. As per latest data till 6 May, Odisha, which claims 100 percent rural electrification, has 30.63 lakh unelectrified households. 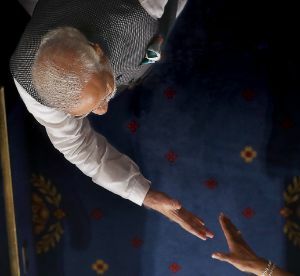 The author is a Bhubaneswar-based freelance writer and a member of 101Reporters.com, a pan-India network of grassroots reporters.